Matushki! What’s a Translator to Do? One set of possibilities comes from the Russian language’s ability to create highly expressive permutations of names and nouns to communicate attitudes and emotions. Whether you’re a doting babushka (accent on the first syllable, please! ), bosom buddy, sibling, teammate, co-worker, or spouse, you have an extensive menu of nicknames to choose from that will offer you the requisite blend of affection, familiarity, approval, or disapproval. 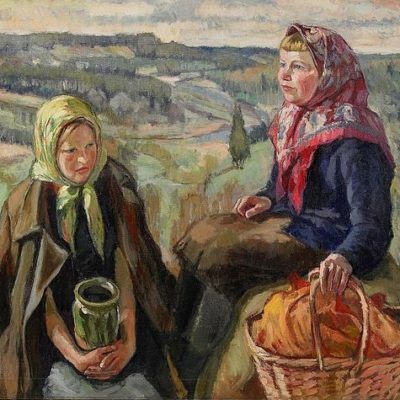 In translating Sofia Khvoshchinskaya’s 1863 novel City Folk and Country Folk (Columbia University Press, 2017), I found that one of my greatest frustrations came from my strong desire to convey the entire freight carried by one such permutated word: matushka. This word, a combination of mat’ (mother) and the suffix –ushka (expressing endearment), appears in the novel twenty-one times. The authoritative Soviet Academy of Sciences dictionary offers four definitions: 1. mother (archaic and colloquial); 2. a woman, usually elderly (archaic and colloquial); 3. a nun or the wife of a priest (colloquial); and 4. (in the plural form, matushki) an exclamation expressing astonishment, dismay, etc. (colloquial). Every one of these twenty-one matushkas caused me a slight stab of pain and sense of helplessness. Far be it for me, a non-native speaker of Russian, to pretend to fully know the impact this word has on native readers as their eyes flit over it, but I feel certain that it evokes something deeper, richer, and warmer than the ma’am, dear woman, and granny other translators have used (when the word serves as a form of address, many fine translations simply leave it out as untranslatable). What English words could possibly help readers glimpse into the corner of Madame Jarintzov’s “national Russian mind” where this particular term of endearment resides? 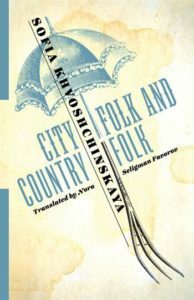 The diverse ways in which matushka is used in City Folk and Country Folk suffice to show that there is certainly no equivalent expression in English. Nastasya Ivanovna, the novel’s main character, a fifty-five-year-old noblewoman, uses it to address her servant and confidante of approximately the same age, but also for two “city folk” noblewomen, her supposed betters. The servant also addresses her mistress as matushka. Perhaps most interesting is the fact that Nastasya Ivanovna uses this word in addressing her seventeen-year-old (childless and unmarried) daughter. Not only is there no equivalent to cover all these instances, there is none to sufficiently capture even a single discrete usage. I raise this issue not to offer any solution: I have none, beyond the judicious use of “dears,” “grannies,” and other English expressions of familiarity and affection. And yet I do not share Madame Jarintzov’s dire conclusion. A good Russian to English translation does indeed offer at least a “glimpse into the national Russian mind.” Furthermore, a good story can easily survive a few untranslatable words.